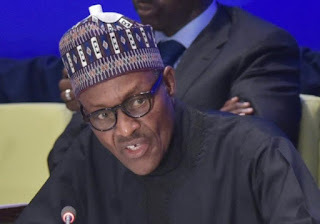 The Peoples Democratic Party, PDP, Friday, said both President Muhammadu Buhari and his economic team cannot resuscitate the country’s ailing economy. The party in a statement by its Director on New Media, Deji Adeyanju, lashed out at the Buhari-led administration, saying the government was not taking the right step towards salvaging the country’s current economic woes. Recall that the Minister of Finance, Kemi Adeosun, had on Thursday, said the current administration will tackle the current recession through diversification and fiscal discipline. The statement reads, “Yesterday, the minister of finance, Mrs Kemi Adeosun stated that the Muhammadu Buhari administration will focus on two policies to remove Nigeria from recession, which are fiscal discipline and diversification. “On diversification, GDP figures released by the Nigerian Bureau of Statistics (NBS) yesterday show that the Buhari administration is doing significant harm to non-oil sectors of the economy‎,” he said. “Non oil GDP contracted by -0.38 percentin Q2 2016 from -0.18 percent in Q1 2016 and 3.46 percent in Q2 2015. “Furthermore, CBN figures show that non-oil export fell by 43.2 percent to $576.97m in Q2 2016. “As the data shows, even sectors that experienced growth in Q2 have slowed considerably compared to Q1 2016 & Q2 2015. “As these figures show, the Buhari administration is just paying lip service to the issue of diversification and it is in fact worsening the non-oil sectors of the economy. “These figures also show that Mrs Adeosun’s comments about fiscal discipline are diversification are empty rhetoric.